Be warned. This was primarily a reconnaissance trip with only one fixed destination way up on the Canadian border. It necessarily included a lot of driving. It started in the San Francisco Bay Area and turned around in Montana near the Canadian border. No way to make light of the hours in the car. If you have read any of my other trip reports you will understand that I enjoy driving. I don't expect you to feel sorry for me. It is just that I understand that not everyone likes long drives as much as I do and, with gas prices where they are, the distances are a serious consideration. Having said that, it was a delightful trip through some spectacular country. The first day, I drove up the Interstate 5 corridor thinking about Native Americans who used the same basic route for thousands of years to move back and forth between modern day California and Oregon. They were followed by fur trappers in the beginning of the nineteenth century. Settlers and gold miners started using the trail system in the middle of the century and the railroad came soon thereafter. Today, a modern interstate highway takes advantage of the path that Indians first blazed through the tumbled mountains of northern California and southern Oregon. 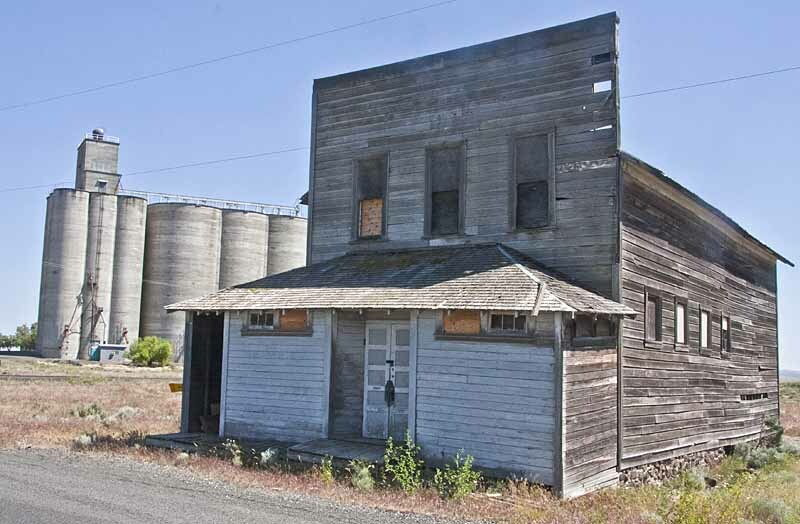 A string of small towns grew up along what the early settlers called the Siskiyou Trail. These communities are rich with remembrances of the history of this beautiful region. Many of them are worth a stop and several of them have an adequate selection of accommodations and eateries. This time through the area, my first stop was in Tulelake. It was early July, so conventional wisdom has it that the birds are not in residence, but the reality was much different for me - a non-birder. I drove around a couple of the wildlife refuges and found twenty seven different species of birds that I could photograph easily. The reason that the birders pooh-pooh summer is that you do not see the millions of birds that you do during the spring and fall migrations. For non-birders like me, the baby ducks and geese strung out behind mom and dad are worth the trip all by itself. 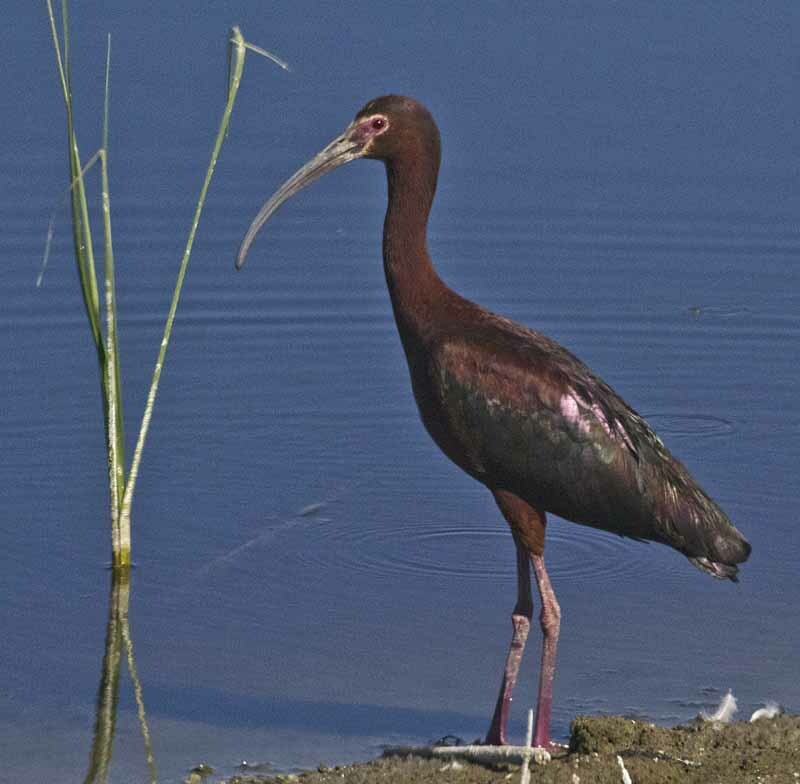 The black necked stilts and white faced ibis are just icing on the cake and the kildeer playing wounded bird to lure you away from her young is the very best theatre imaginable. I didn't visit the Lava Beds National Park because of time considerations. That dramatic landscape has to be the focus of a trip all by itself. After Tulelake, I headed up through Klamath Falls on U.S. Highway 97, Washington State Highway 14, and U.S. Highway 395 (Interstate 90) into the sere landscape of eastern Oregon and Washington. The highlights during this part of the trip are the vast stretches of green agricultural fields set into an austere ultra dry brown landscape. The green is made possible by an extensive irrigation system which draws water from the few rivers that snake through the high desert. As our population increases, we use more and more of this precious resource that we once took for granted and understandably argue more about which use should be emphasized. Fish or farm is an oversimplification, but makes the point very well. Another aspect of the changing landscape is the way in which our rural communities are drying up and blowing away. This makes for excellent photographic subject matter, but simultaneously evokes great sadness. The mechanization of agriculture that increases production has encouraged the small family farmer to sell out to the increasingly impersonal conglomerate. A way of life has disappeared and the communities that one drives past at freeway speeds are but the husk of what is left behind. The megapolis of eastern Oregon is Bend and that of eastern Washington is Spokane. Both are worthy of exploration and both have excellent facilities for the tourist, including some superb museums. I skipped Bend on this trip, but spent some time in Spokane which I had not visited for a long time. It is a delightful city with a very long history that stretches back before local residents began writing things down on paper. Geography determined that it would be an important place for people to live. The Spokane River falls over a rock ledge creating a spectacular cascade waterfall that attracted animals and people in ancient time as well as today. Anglo-European fur trappers came through as early as 1811 and were followed later in that century by the tide of humanity that settled the small rural communities that are today in the process of disappearing. Many of the small farmers have moved into the city and their children have found urban employment. 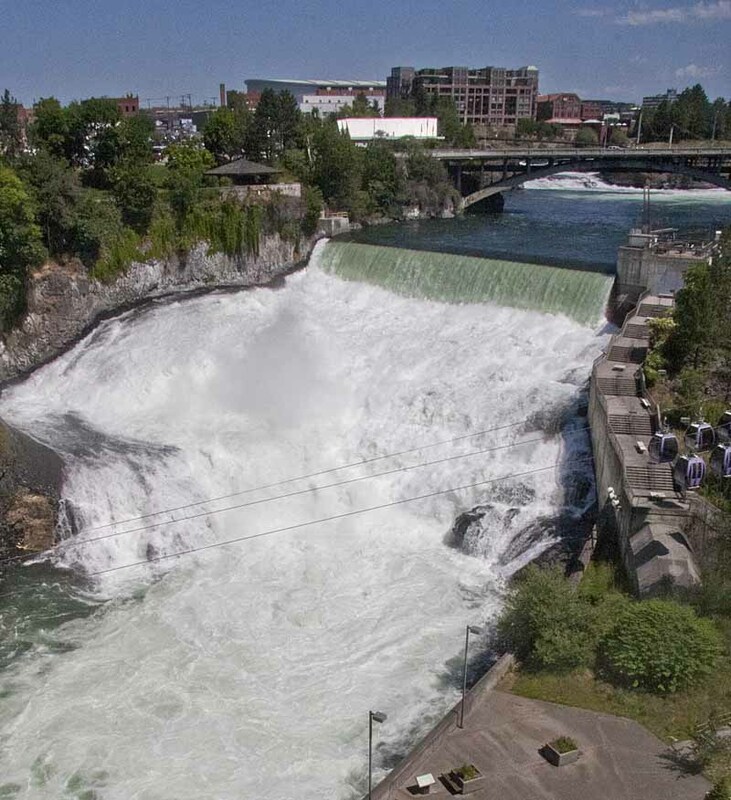 The city fathers of Spokane have succeeded in building a very attractive, very clean, very busy city with a central focus on the falls, which, even with it's power generating facility, is still a fabulous centerpiece for a community. From Spokane this trip went through the Idaho Panhandle on Interstate 90 with a stop at Couer d' Alenes' Old Mission. Built between 1850 and 1853 by Native Americans under the direction of Jesuit missionaries, it is said to be Idaho's oldest extant building. 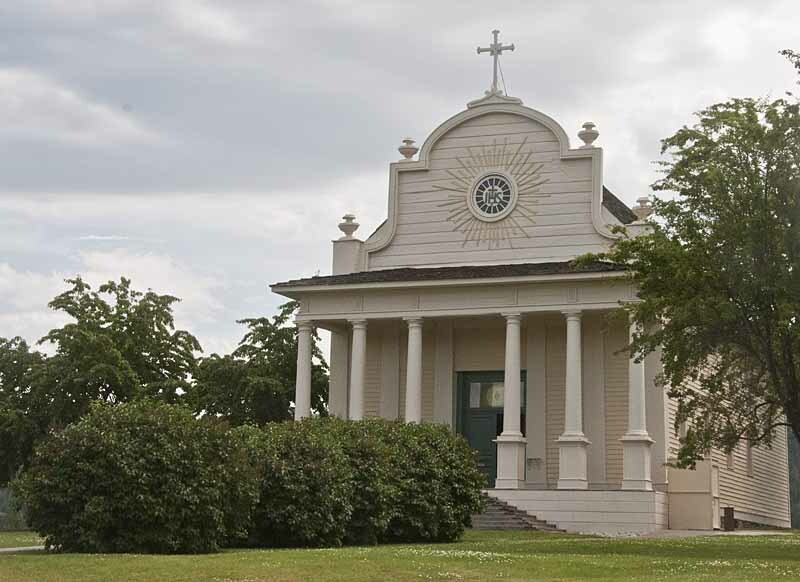 The Mission building and the associated Parish House have been faithfully restored and are well worth a visit. (Today, it is known locally as the Cataldo Mission, but Catholics usually refer to it as the Church of the Sacred Heart.) The history of the building is quite literally the history of the region for the better part of half a century. Anybody who was anybody, and a lot of other work-a-day travelers, stopped here on their journey east or west across the primitive Idaho wilderness of the day. Father Antonio Ravalli, the Italian that led the construction of the mission building, had been recruited years before by none other than Father Pierre-Jean De Smet. Father Ravalli gave up a privileged life as a member of one of the most prominent families of Italy and sailed for America in 1843. He never went home, but was transferred to Montana after completing the construction of the mission building. He is buried today in the Montana that he grew to love. Standing on the hill top and looking out into the forested hills surrounding the old mission it is easy to see why he fell in love with this part of the world. Please use this search box to search within the Wandering Lizard site.